2.0 or Godzilla? It doesn't matter at HyperFEST presented by Grassroots Motorsports. We're all brothers and sisters in speed and Japanese Classics along with GT-R Life are welcoming all Nissan Skyline enthusiasts to join us in the challenge of setting the record for the most Skylines on track at one time. Yes, that's right, on track! Nissan's VIRginia International Raceway is a 3.27-Mile ribbon of world renowned, glorious asphalt and HyperFEST is the Automotive Amusement Park. It's the perfect setting for a rolling mass of Nissan Skylines from across the country participating in a touring / parade lap around one of the most iconic racetracks in North America. Want to help us set the record and be a part of history? 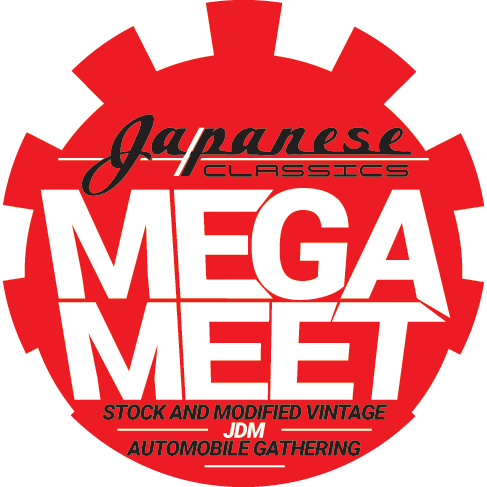 In addition, Japanese Classics is hosting a Mega Meet to celebrate vintage Japanese Domestic Market (JDM) vehicles and the culture that is associated with them and other enthusiasts by organizing the largest gathering of right-hand drive vehicles on the East Coast. And there's more, twenty (20) lucky participants in the Mega Meet will be selected to participate in the Japanese Classics HyperDRIVE session on Saturday afternoon where they can drive their own car on track with an instructor during the event ($50 value). As the day winds down, stick around and enjoy music on our Main Stage. While registration for the Japanese Classics Skylines at VIR and Mega Meet are both free, we do ask that you register in advance at the link below. This will help us ensure we have enough space allocated in the same area to accommodate everyone, as well as help us know what vehicles to expect. Japanese Classics is a licensed automotive dealership and importer based in Richmond, VA. They specialize in importing the cleanest 100% Federally Legal Japanese cars into the US directly from Japan. Their inventory speaks for itself, and they only import the highest quality vehicles available in Japan. They are able to do this by personally inspecting all of their vehicles in Japan prior to purchase. This ensures you get the best vehicles available with no compromises. With a combined 30 years of experience in the auto industry, they have the ability to purchase extremely high quality vehicles in Japan and knowledge to import these cars legally. I AM GOING WITH MY TEAM/FRIENDS, CAN WE ALL PARK TOGETHER? Yes, however to make the whole process easier on everyone, we ask that you try your best to arrive at the same time. If you aren't able to do so, you are welcome to park temporarily in General Parking until you are all together and then head over to the meet. This helps us ensure everyone is staged properly and the show and you look your absolute best. CAN I MOVE MY VEHICLE DURING THE SHOW? Unfortunately no, unless you are participating in a HyperDRIVE or other driving activity. We'd love to let you be able to drive around, but there will be a lot of people walking around (including kids). To ensure everyones' safety, it's best to not have any unnecessary traffic in or around the meet during the event. Yes, you are more than welcome to bring a tent. However, we ask that you do not set it up right next to your vehicle. Ideally at the edge of the meet or with other tents would be best. We want you and others to be able to get some good shots of your vehicle without a tent and/or chairs in the picture, and the same goes for the other people and vehicles around you. DOES MY SKylines at vir ENTRY INCLUDE A TICKET TO THE HYPERFEST EVENT? No, unfortunately you will still need to purchase a three-day spectator ticket to get you into the event for the weekend. The good news is that there is a ton of things to see and experience, plus the entry for the Skylines at VIR is free. HOW OLD MUST I BE TO PARTICIPATe In THE SKYLINE PARADE LAPS? Participants in the parade laps must be 18 years or older and have a valid driver's license present.